There's no question that the quality, variety and diversity of American cuisine has been profoundly affected by immigrants. From bringing international palates and pantry items across oceans and continents, to workers looking to apply their trade in a thriving market, the restaurant industry is one of the country's most concentrated melting pots. But what would those kitchens and dining rooms look like if those talented chefs, cooks and servers were suddenly gone? On February 16th, diners throughout the nation will find out as restaurants from coast to coast participate in "A Day Without Immigrants." The social media-led protest will take a stand against President Donald Trump's recent steps to crack down on immigration and his promise to build a wall along the U.S.-Mexican border. It asks immigrants and the places that employ them to skip work—or close for the day—in solidarity. While all businesses, including schools, are encouraged to participate, the restaurant industry has really heard the call, with some of its biggest names signing on to shut down on Feb. 16. 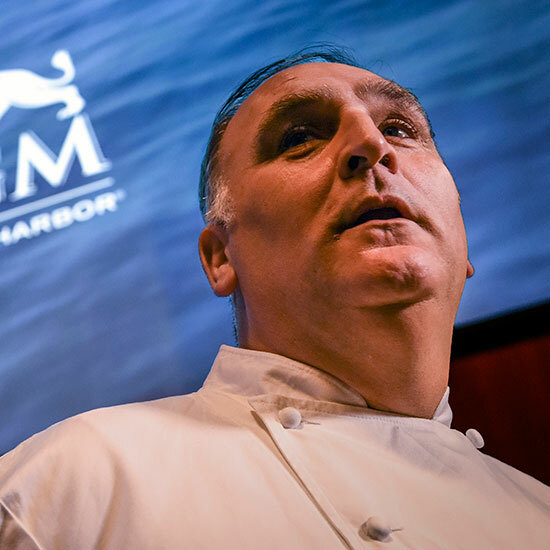 Among the prominent chefs taking a stand is José Andrés, who announced on Twitter that he will close five locations—three Jaleo spots, and Zaytinya and Oyamel. It's unclear just how many restaurants, suppliers, and workers will participate in the protest, but current counts in various news reports shows the number is at least in the dozens. And if they can't close, several other restaurants have pledged to send their non-citizen workers home, including McDonough's Boundary Stone, where the owner will be manning the grill in place of his usual cooks. Busboys and Poets will shut down its locations throughout D.C., according to The Washington City Paper, joining the Meridian Pint, Brookland Pint, Smoke & Barrel, Bub & Pop's, Brookland's Finest, and two locations of Pizzeria Paradiso. Many other restaurants in the capital may not be able to offer full menus because suppliers and staff could be affected by the boycott, the newspaper notes. According to The Inquirer, about 20 businesses throughout Philadelphia, Allentown, and King of Prussia will close, while the Austin American Statesman reports at least four Austin area restaurants will participate in the protest. And in the Minneapolis area, a least two more restaurants will close, the Twin Cities Pioneer Press says, with several others currently weighing whether they can participate. NYC spots like Tapestry have joined in as well, and in the San Francisco Bay area, two restaurants—the Michelin-star rated Rasa Contemporary Kitchen and it sister property Saffron Indian Bistro—will shutter in support of the protest, according to a press release. Some restaurant insiders, such as Andrés, are participating as immigrants themselves. Andrés is a Spanish immigrant who took a stand against then-presidential candidate Trump when he backed out of a deal to open a restaurant in D.C.'s Trump International Hotel after the candidate made disparaging remarks about Mexican workers. Other insiders, such as Compass Rose owner Rose Previte, are opting into the shutdown on behalf of their immigrant employees and suppliers. "One of our delivery men who's Latino told our kitchen about it, and then it started spreading from there," Previte told the Washingtonian. "My staff was like, 'We feel this is something we have to do.' They felt really strongly about it." The "A Day Without Immigrants" protest comes at the heels of a similar Wisconsin-based protest dubbed "A Day Without Latinos." The Monday march in Milwakee was an attempt to persuade the Milwaukee County Sheriff from going after undocumented immigrants. Updated 2/16 to reflect Tapestry, Rasa Contemporary Kitchen and Saffron Indian Bistro's participation.